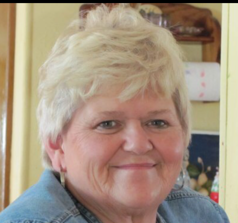 Martha Jean Faught — Fraker Funeral Home, Inc.
MARTHA JEAN FAUGHT, daughter of Robert Lloyd and Margaret Leona (Detherow) Replogle, was born on October 20, 1949 in Marshfield, Missouri and passed away on November 23, 2018, in St. Louis, Missouri. On October 7, 1988, she was united in marriage with Gene Faught. As husband and wife, they spent 30 happy years together. Martha worked for 18 years for Zenith, until they closed the plant. She then began a 22 year carrier with Springfield City Utilities as a bus driver. During this time she helped start the “Pennies for Passes” program, which provides discount bus rides and bikes for low income families. During her free time she enjoyed painting which took her to many area craft shows. She also enjoyed gardening, flowers and going camping on the river or lake. Most of all she enjoyed spending time with her family and helping other people. She was happiest when she could help others. She is survived by her husband Gene, of the home; two children, Robert Kevin Martin, of Springfield and Angela Marie Young and her husband Donnie, of Marshfield. She is also survived by her three sisters, Roberta Taylor and her husband Richard, of Cabool, Rodella Massey, of Phillipsburg and Shirley Tarwater, of Lebanon; and 5 grandchildren; Dorian, Makayla, Chance, Madison and Dalton. She was preceded in death by her parents and a half-brother, Boyd Clemmons. Her family will miss her love, smile and her special love to laugh. Memorial services will be held at 2:00 P.M., Saturday, December 1, 2018 in the chapel of Fraker Funeral Home, 1131 Hwy A., Marshfield, Missouri. Private inurnment will be held at a later date in Missouri Veterans Cemetery, Springfield. At Martha’s request, she was cremated under the direction of Fraker Funeral Home, Marshfield. For those desiring, memorials may be made to the City Utilities Pennies for Passes, 301 E. Central, Springfield, MO 65802, or may be left at the funeral home.